Born in Longview, Texas, Larry Trimble received his B.A. from Stephen F. Austin State University in 1989. Three years later, he obtained his J.D. from South Texas College of Law. Upon completion of Law School, Mr. Trimble began specializing in Workers’ Compensation cases with Christian Hill & Associates, one of Houston’s leading personal injury law firms. 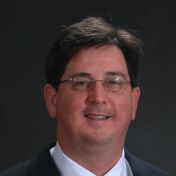 In 1996, he took a position representing Texas Workers’ Compensation carriers with Hoffman Kelley, L.L.P. in Austin. Mr. Trimble formed his own firm in 1999. Since then Mr. Trimble has devoted his time and talents to workers and their families. His personable style and expertise has been the key to the success of his firm, which has resulted in winning many verdicts for his clients. He is board certified in Workers’ Compensation by the Texas Board of Legal Specialists, and also has extensive experience in Personal Injury and Social Security law. 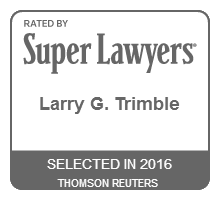 Larry has been selected multiple times (2012 – 2016) to the Super Lawyer list by Super Lawyers magazine, a Thomson Reuters Company. Outside of the office, Larry lives with his wife in their home in the Houston Heights, and enjoys gardening, golf and is an avid sports fan.